One of the highlights of our year is running the anthology cover design project with final year Illustration degree students at the University of the West of England. The designs they produce are always full of originality and so inventive. This year’s submissions were as strong and fresh as ever. Congratulations to Rosanna Tasker whose cover (left) we’re so thrilled and feel very fortunate to have the opportunity to publish as the cover of our 7th anthology. Many thanks to all the students who submitted designs and to course leaders Chris Hill and Jonathan Ward for making the project so inspiring. 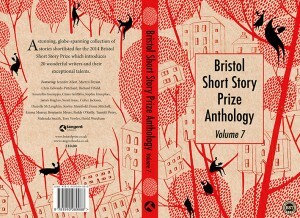 How did you feel when your design was chosen for this year’s Bristol Short Story Prize cover? Of course I was over the moon, this will be my first published piece of work so I’m excited to see it the shops! What are the key ingredients of a great book cover? A book cover needs engage and appeal to its audience, reflecting and providing a hint of insight into the atmosphere of the content without giving too much away. 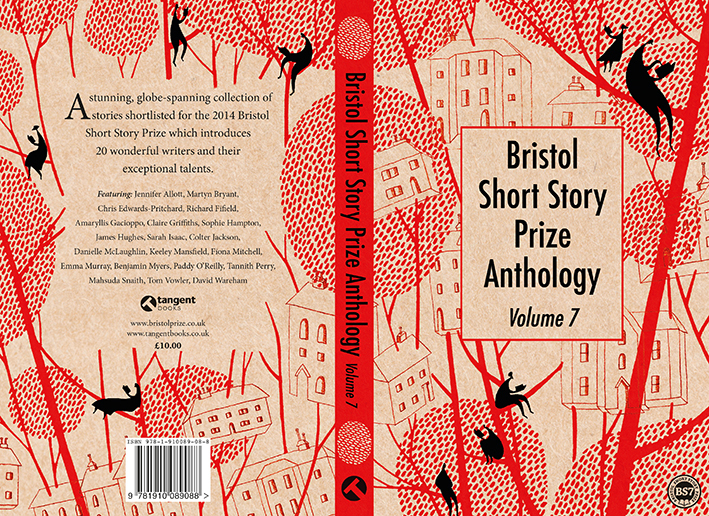 This was the tricky thing with the Bristol Short Story Prize cover, as the stories being featured hadn’t been chosen at the time I was designing it so the illustrations had to capture the feel of the anthology whilst also being non genre-specific. 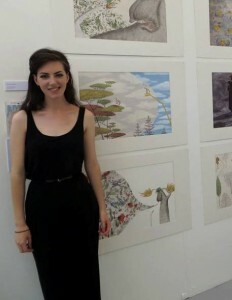 What have been the highlights of the Illustration degree course? I loved the studio environment; working in the company of others is almost essential for me so that really helped both my productivity and creativity to be around so many talented illustrators. The tutors were fantastic and I really found my feet in terms of style and subject matter. Who are your favourite illustrators/artists? With which tools do you prefer to work? At the moment I like combining delicate pencil line-work with a limited palette of bold gouache to add pops of colour, working on each component in separate layers then assembling them digitally. In the rapidly evolving publishing world what role do you think illustrators and their work will play? Illustrations have the power to inspire the imagination and can encourage the reader’s mind to become fully immersed in the imagery of the writing. The thing I find most enjoyable about reading is conjuring up the characters and scenes in my head, so as an illustrator within the publishing world I feel it’s important to subtly propose your impression of the book without taking that away from the reader by being too literal with your own perceptions.